Our factory have invest to set up a new Glass Tempering Furnace to increase the product quality and quantity of tempered glass. It is applicable to produce automotive glass and excavator glass. seeks innovative products, high quality service and self-improvement to meet the increasing product requirement. Put prevention first, control quality strictly, correct error immediately, and improve continuously. D.K.G. was established in 1994, we have grown dramatically since our establishment and we are now one of the largest safety automobile glass manufacturers in China. 95% of our products are being exported globally. 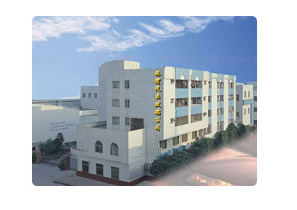 Our production lines are located in the province of Guang Dong in the southern part of China and our factory is now occupying an area of over 10, 000m2. To gain competitive advantage of our product, our company has been investing in research and development and collecting customers’ ideas and experience. Our company emphasis to provide outstanding service quality to increase our customers'satisfaction. Our company insists on the human resources tactics of sustainable development, gives full play to each employee's enthusiasm and initiative, stimulates their latent energy, and carries on job trainings through various means to improve skill and quality of each employee constantly.